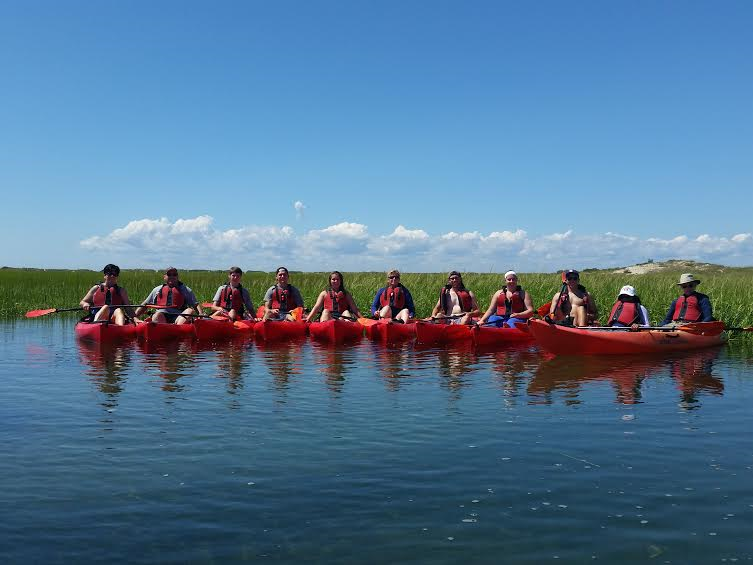 Provincetown Aquasports is proud to offer 3 different guided kayak tours for groups. 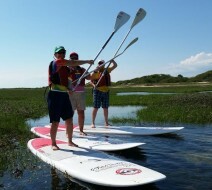 Also offering 1 guided paddle board tour for groups. 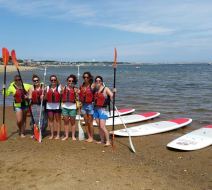 Booking group kayak tours or group paddle board tours in Provincetown is now very easy. 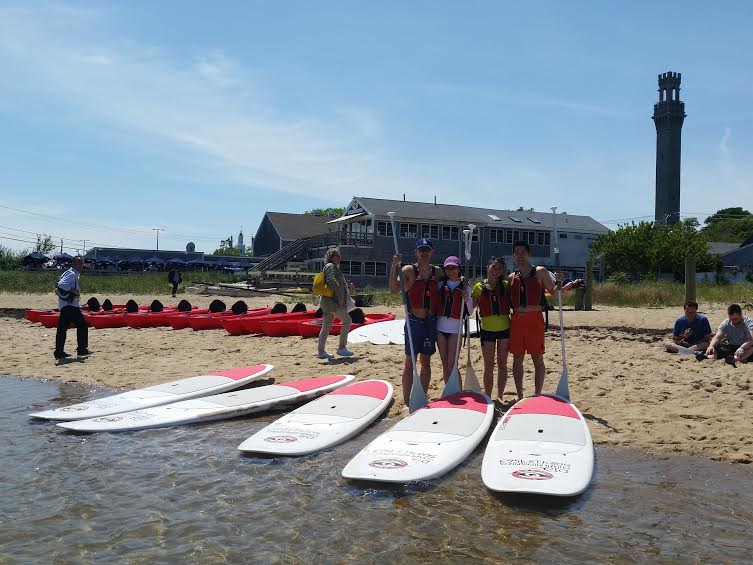 The guides at Provincetown Aquasports are knowledgeable and enthusiastic. Guides are CPR certified. All of the tours have a very good chance to see seals, sea birds and small crustaceans. Provincetown harbor is a natural deep water harbor. Provincetown harbor has been a safe zone for large or small boats since being discovered by the Pilgrims. 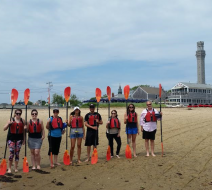 Feel safe following your guide through the protected waters of Provincetown Harbor. The summer season in Provincetown is truly beautiful. 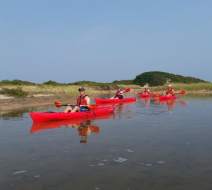 The second group kayak tour offered is the Provincetown Harbor tour. 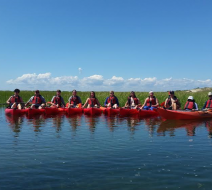 This tour operates inside the protected waters of Provincetown Harbor. The tour starts on the beach in front of Provincetown Aquasports. 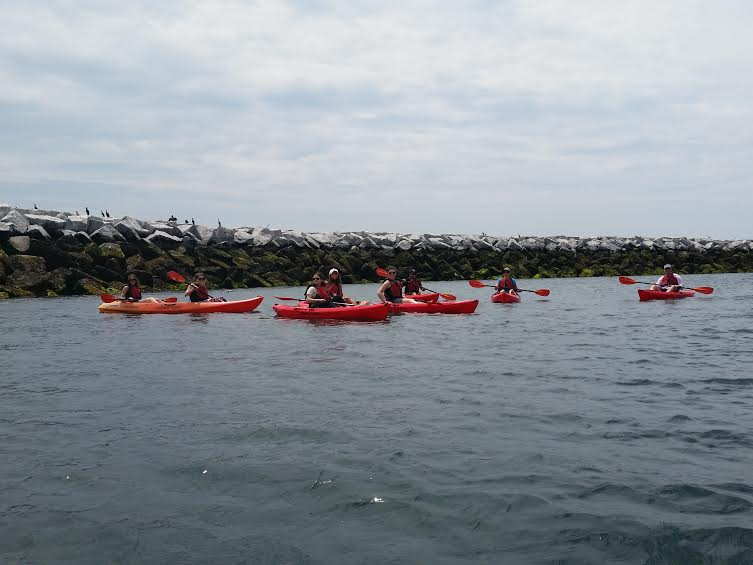 After the launch the group will paddle around the historic piers and warfs in the Harbor. You will view sea birds and get up close and personal. 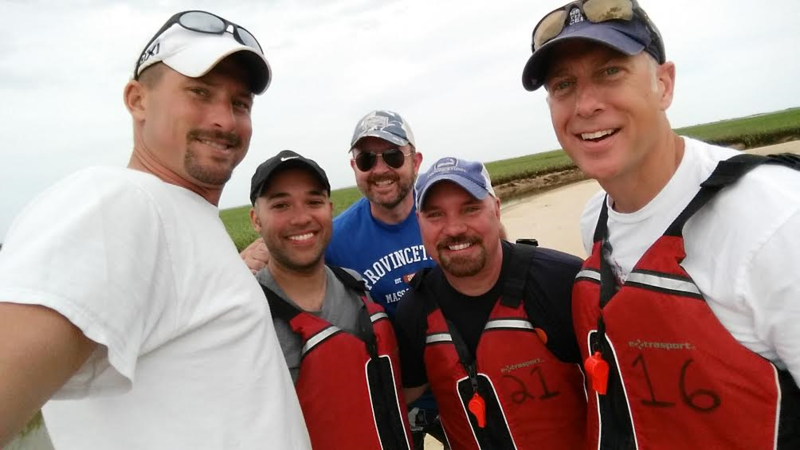 Seeing Provincetown’s historic waterfront on a kayak is something very unique. The town of Provincetown was originally a Portuguese fishing town. Some of the remanence is still apparent. 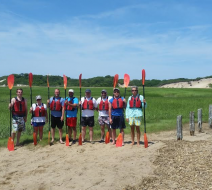 A great way to see beautiful Provincetown from the water. 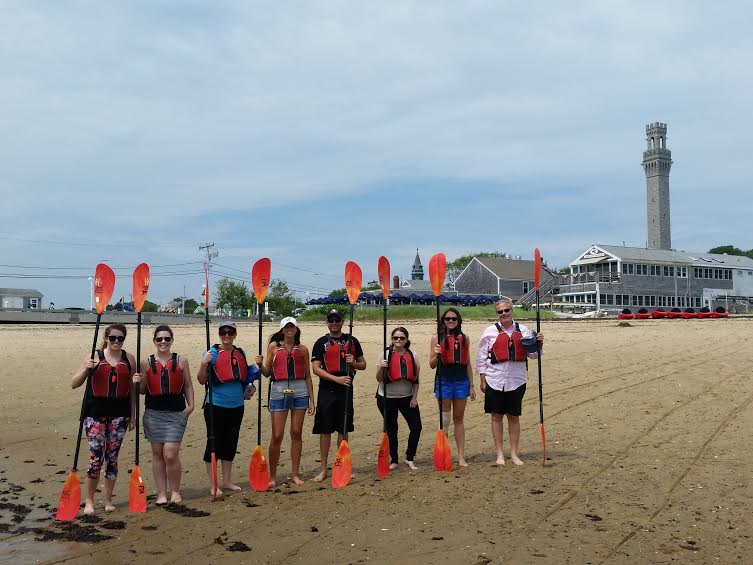 Last but not least Provincetown Aquasports offers a group kayak tour to Long Point Lighthouse. 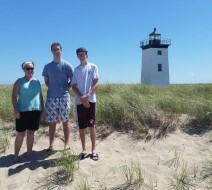 Long Point is the very end of Cape Cod. 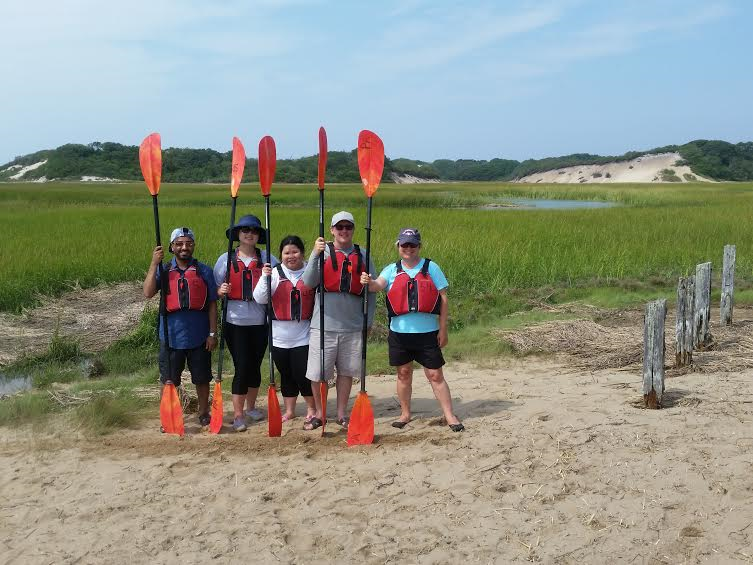 Long Point is often reffered to as “the serpants tail” This sand bar was created by the strong Atlantic Current flowing around the outer cape and into Cape Cod Bay. 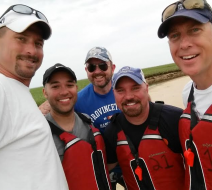 The tour does not go outside the protected waters of Provincetown Harbor. This means the tour will not experience these strong currents. 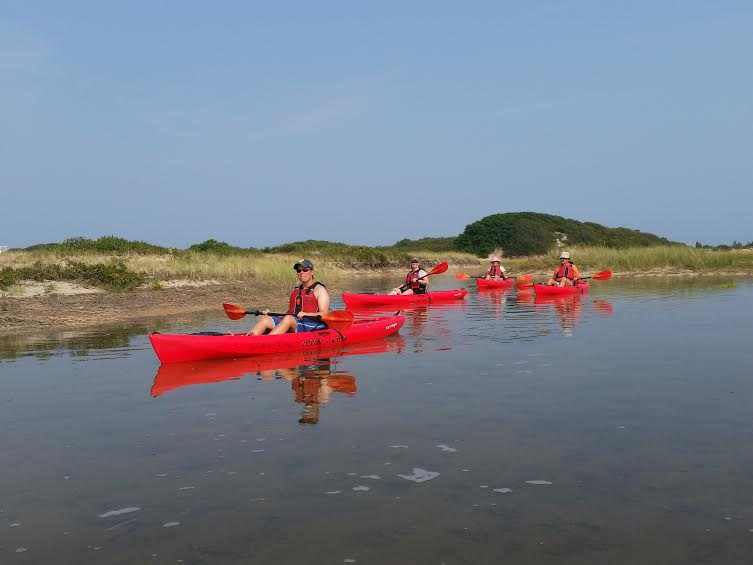 Launching from Provincetown Aquasports waterfront location the kayak tour goes across Provincetown Harbor. The paddle is 1.25 miles in each direction. Arriving at Long Point we get out onto the beach. Here groups can take pictures and explore this massive sand bar and its beaches. Most days this tour is not for beginners. The tour can experience pesky winds from any direcion. The tour covers nearly 3 miles, to much distance for beginners when its windy. THIS TOUR IS KNOWN FOR SEEING SEALS. 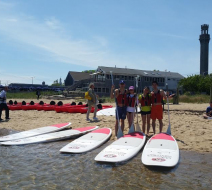 The Harbor tour for paddle boards is for all skill levels of paddle boarding. 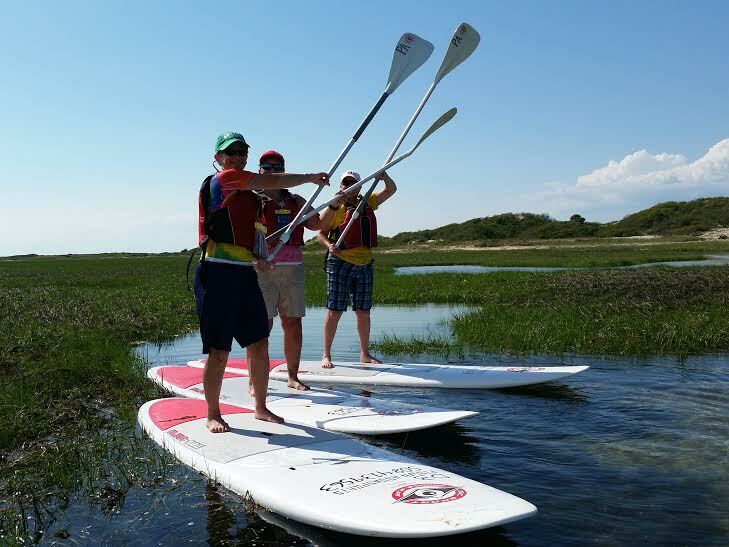 Designed for everyone including beginners, all the way to experienced paddle boarders. 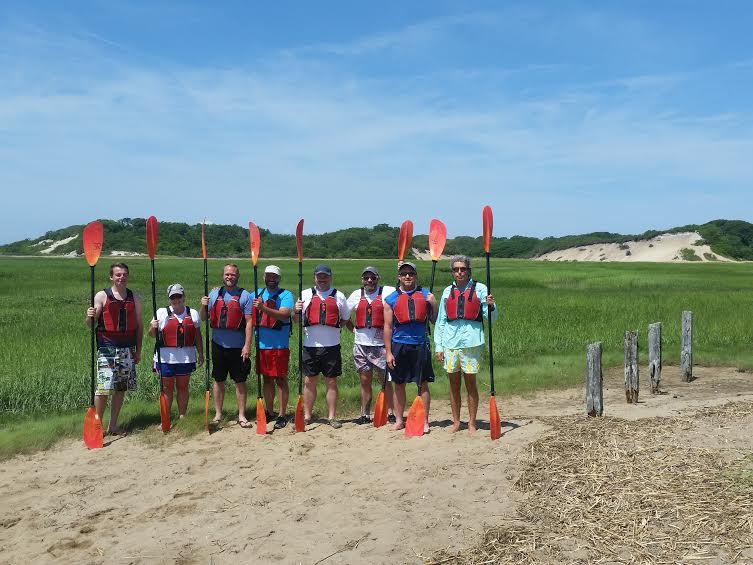 The guides and beach employees at Provincetown Aquasports will outfit every paddler properly. 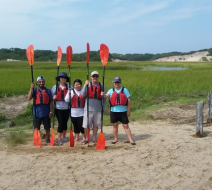 If the paddler is a beginner, a guide or a beach employee will give proper instructions. Its important to learn how to hold the paddle correctly. Learning how to get up on the paddle board and remaining balanced is a lot of fun. 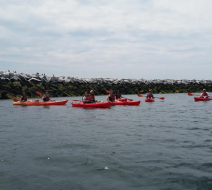 Once every paddler is comfortable, the group will cast off into the harbor. The location at Provincetown Aquasports protects the water from the prevailing southwest wind. 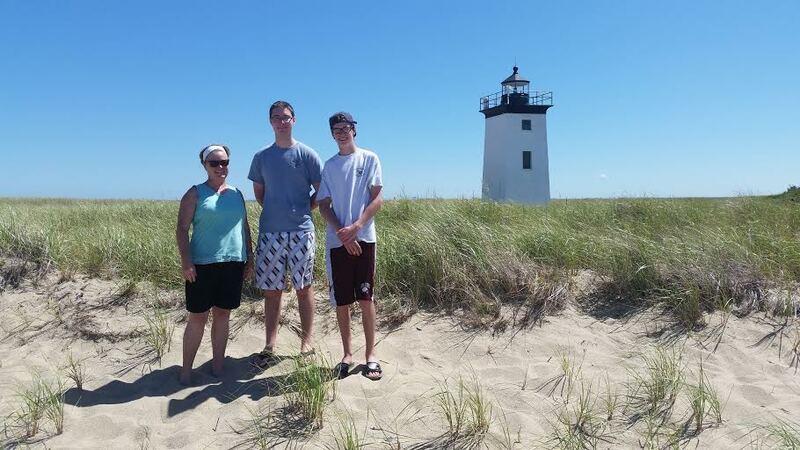 On the tour you will learn some of the history of Provincetown. Paddling around you will see historic buildings and piers. Some groups even get to see seals. 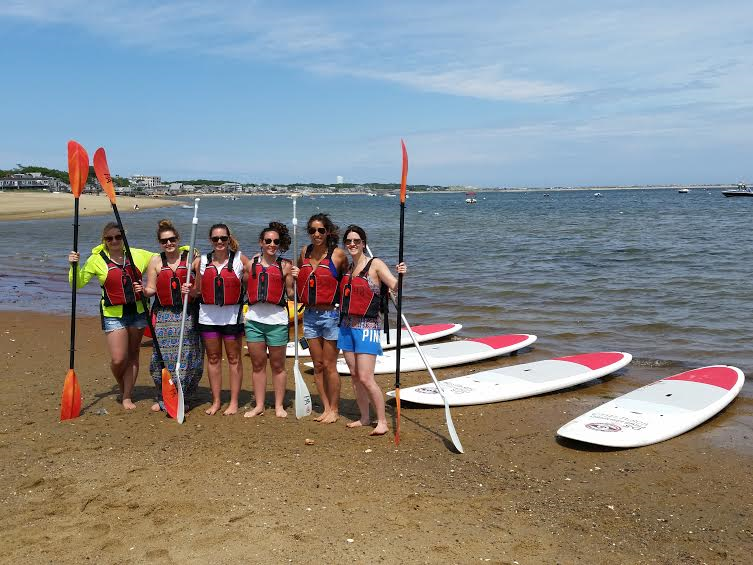 This is a great experience on a paddle board in Provincetown!